Scooper - Technology News: What skills are employers looking for? 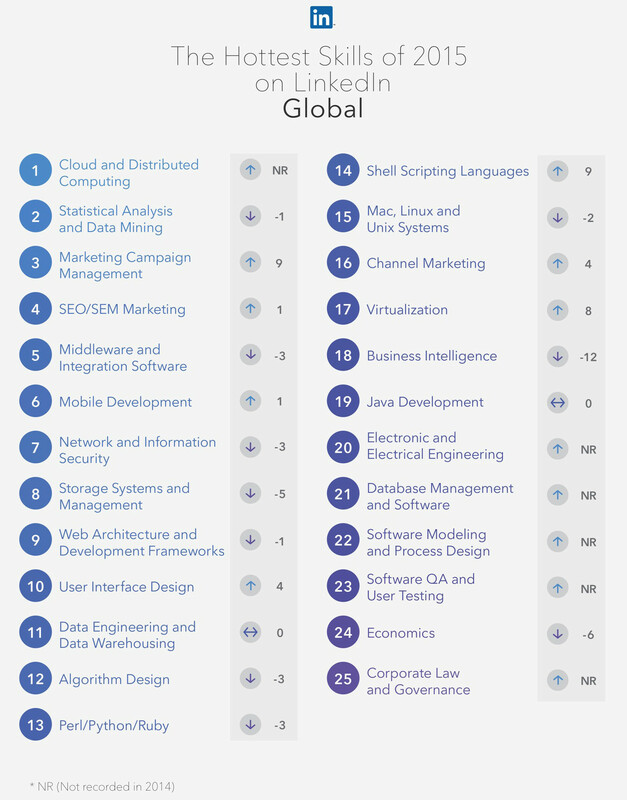 Cloud and distributed computing skills were the most sought-after skills on LinkedIn last year. LinkedIn analysed hiring and recruiting activity on the site from January to December 2015 to outline the skills attracting most interest from employers. The site argues that having one or more of these skills is likely to increase your employability. Statistical analysis and data mining’s place in second shows the continued expansion of a data-driven world. It was the only skill ranked in the top four of all the countries surveyed. Third place goes to marketing campaign management, a rise of six places on 2014. Along with SEO/SEM Marketing in fourth place, the continued importance of marketing skills to employers is clear. The World Economic Forum’s Future of Jobs report highlights the shift in skills occurring as part of the Fourth Industrial Revolution. Workers need to react quickly to these changes to remain employable in a modern workplace. For Allen Blue, Vice President of Product Management and Co-Founder at LinkedIn, the best way to navigate these changes is by seeing jobs as a collection of different skills, rather than by job title alone. The question is, do you have the skills employers are looking for?